BlueSky UAV Specialists are a fast growing commercial aerial surveyor. Their knowledge and approach to drone safety has seen them being awarded with Civil Aviation Authority licences to not only fly by night, but also in congested and built up areas. 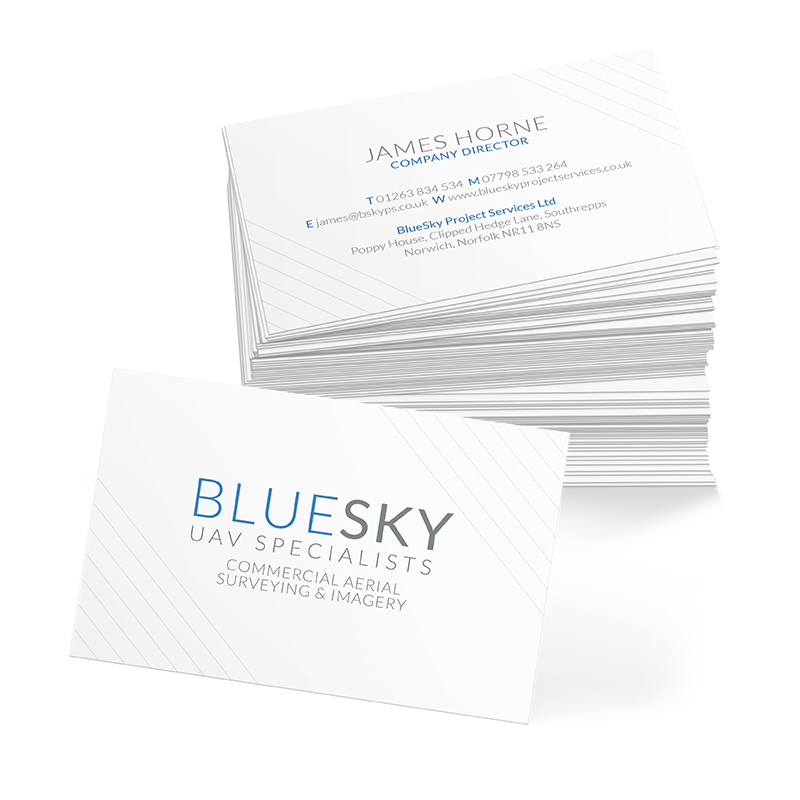 As BlueSky began to grow they needed a brand and web presence to portray their professionalism. With this in mind we created a brand using a contemporary font and applied subtle lines to the stationary to help frame the logo. The lines where also applied to the website, brochure and advertising to give unity to the brand and achieve a look that was fresh and clean.